This is a scenery package as real as the real one. Tested in X-Plane 10.42 in Windows 64 bit. Rarotonga International Airport (IATA: RAR, ICAO: NCRG) is the Cook Islands’ main international gateway, located in the town and district of Avarua, Rarotonga, 3km west of the downtown area on the northern coast. The airport first opened in 1975 on the site of a former United States World War II base. In 2003, the terminal and departure and check-in areas were revamped at a cost of US $650,000. An $8.5m reconstruction project commenced in 2009 to revamp and expand the existing terminal facilities. The new-look terminal was officially opened on 22 June 2010. Because of the close proximity of the runways to the nearby roads, it is possible to get very close to the aircraft while they are departing and landing. Runway 08, which is at the western end of the runway, in particular is often very popular when a large jet is landing. You must to have CDB-Library v 2.1 upload on 12/16/2015 for this to work well and good! They have change the terrain mesh of this scenery, to fit the original one. Therefore, you must install the appropriate folder with the new mesh. To avoid any problems in the future release, I decided to create a permanent folder for hosting all the files. It’s named yxz_CDB_Mesh. Inside it, you will find all dsf converted files, in them respectively folder, to using the scenery’s package of this author. Correct and fix the terrain mesh, was made possible only using an AMAZIND and SMART program as free, or better to say “donationware” created and offer by JOSENILDO NASCIMENTO aka JOZ, and host on its web page https://www.hangarxplane.com.br/ under link/ MeshRemexe09b91 – for both Windows and Python platform. At this time the tutorial is in Portuguese language, but it will be translating into English, very soon. Stay tune! Really a big thank you to that guy, very supportive, kind and very polite! Obrigada de coração a você, Josenildo! Unzip both file and place them into your local custom scenery folder, path like this: /Xplane/Custom Scenery folder. If you start X-Plane 10 the first time or deleted the scenery_packs.ini, it will create a new scenery_packs.ini and populate it exactly in the alphabetic order of your current folder names in “Custom Scenery”. You can always manually sort / organize the scenery_packs.ini, as X-Plane only rewrites it when you delete it. 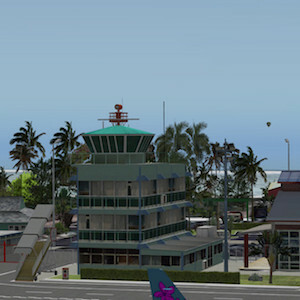 Open the scenery_packs.ini, and move the SCENERY_PACK Custom Scenery/yxz_CDB_Mesh/ BELLOW to the last scenery pack, that begins with the letter W.
OR, you can just remove scenery_packs.ini and the next time you start X-Plane 10 its recreated the new one, with yxz_CDB_Mesh folder at the bottom (as it will be sorted in that position alphabetically). Does not matter if runway follow terrain is off or not. Small differences… I prefer using ” runways follow terrain contour” ON !